On average, even young, relatively healthy pets visit the vet 2 ½ times per year. Now consider an aged pet or a multi-pet household and you can easily have someone who makes a visit to the veterinarian every 2-3 months. For most of us, that’s more than we visit our own doctors. Why choose to go somewhere you don’t look forward to going? You have options, if you feel uneasy or stressed about visiting your veterinarian, you pet will feed off of that and feel the same. We have seen it all and heard it all. From 10 minute discussions on poop color and consistency, to how many Viagra a pet ate, we have literally heard and seen it all. We don’t’ judge and we certainly don’t get grossed out. This is the exact information that in some cases may save your dog or cat or hamster’s life. Veterinarians need to be people you can talk to about anything without feeling pressured or judged. According to a USA Today poll, the average American spends between $900-$1200/ year on their cats and dogs. Now you may be thinking to yourself, “Well I don’t spend near that!” or “I definitely spend at least that, the hospital should have an entire exam room named after my pets.” Whether you have $100 to spend or an endless amount, you need to be able to talk to your veterinarian openly about your limits without feeling guilty. Knowing our client can afford $200 can be the difference between spending all the money on diagnostics and having none left over for treatment, or starting treatment based on symptoms and giving the pet some relief. Unfortunately, insurance for your pet is very different than your personal health insurance and we sometimes are forced to make difficult decisions based around finances. 2. Losing a pet is hard, deciding when it’s time to say good-bye doesn’t have to be a decision you make alone. 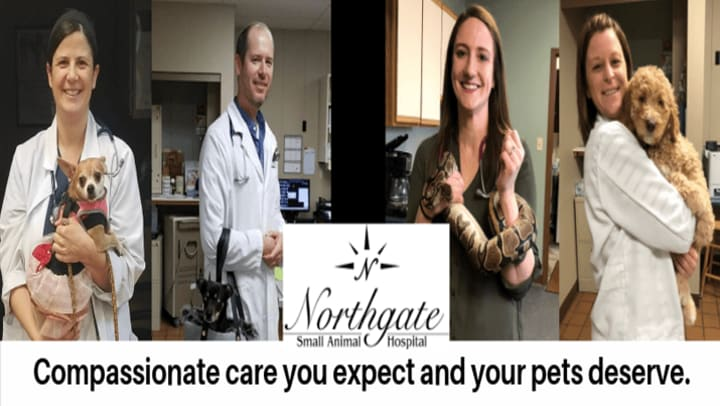 Advocating for your pet is literally our biggest responsibility as veterinarians and one we DO NOT take lightly. We are here to give you the tough truth, help you understand that it is NOT your fault, and make saying goodbye a peaceful and tranquil process. This is a much easier conversation when you have a strong relationship with your veterinarian who you are confident knows your pet well and whose opinion you highly value. You can be the most talented or most educated person in your procession, but if you don’t care about those you work with or for, you are missing a very important piece of the puzzle. In veterinary medicine, there is no shortage of compassion. Finding a veterinarian who is authentic and cares for your most precious loved ones create connection, trust, and a bond to allow open conversation, team based healthcare, and support to help you through tough decisions and hard times.